Geosys is proud to announce that it’s Director, Hari Yeruva has recently been awarded the Esri Technical Certification which recognizes superior skill levels utilizing Esri’s software for Geographic Information Systems (GIS). Hari was awarded the Enterprise System Design Associate 10.5 (ESDA105) Certification. “We’re very proud of Hari,his accomplishment demonstrates the level of GIS knowledge, professional expertise and quality that Geosys stands for.” said Janaki. The Enterprise System Design Associate exam tests an individual's experience with Enterprise and Solution architecture. 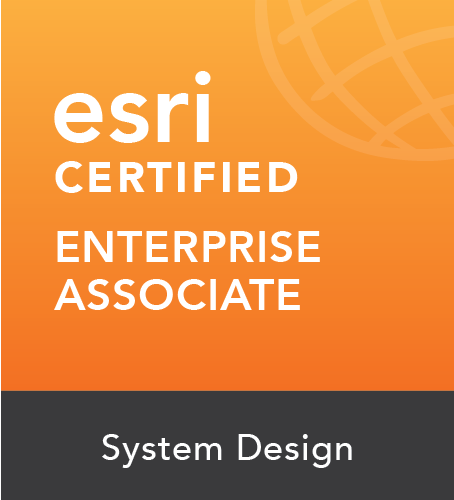 To earn the Enterprise System Design Certification, candidates have to successfully pass an examination that assesses knowledge and skills cultivated through their years of GIS experience. A qualified candidate is someone who has extensive experience working with designing and implementing enterprise information systems in small to large organizations and has real-time working with Esri's ArcGIS technology. Qualified candidates are expected to be proficient in mapping the business requirements to the technology and design the conceptual, user needs, application, data, security, network and platform architectures, integration & interoperability, determine capacity planning and performance requirement, develop proper supporting artifacts and build a Phase/Mitigation/DR plan. 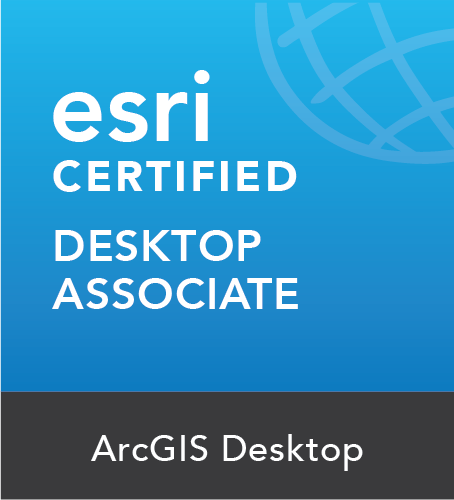 Find out more about Esri Technical Certification at www.esri.com/certification. Hari Shankar Reddy Y. invited to Environmental Systems Research Institute Redlands in California, USA. Geosys Enterprise Solutions Pvt. Ltd. is proud to announce that its Director and Technology Evangelist, Hari Shankar Reddy Yeruva., has been invited to the Environmental Systems Research Institute’s-Teachers Teaching Teachers GIS Institute(T3G) at Redlands in California, USA. The ESRI-T3G is an exciting program that will support, inspire and empower the participants to teach other educators as they advance their own professional development goals. To be invited to the Esri’s T3G Institute the participant must have demonstrated ability to educate and have necessary skills in creating Web Maps and Applications in ArcGIS online environment, candidates have to create and submit a compelling web application to demonstrate their knowledge and skills cultivated through their years of GIS experience. GEOSYS ENTERPRISE SOLUTIONS PVT. LTD. is proud to announce that its Director and Technology Evangelist, Hari Shankar Reddy Yeruva., has recently been awarded Esri Technical Certification which recognizes superior skill levels utilizing Esri's software for geographic information systems (GIS).Hari Shankar Reddy was awarded the ArcGIS Desktop Certification. "We're very proud of Hari Shankar Reddy," said Janaki. "His accomplishment demonstrates the level of GIS knowledge and professional expertise that GEOSYS ENTERPRISE SOLUTIONS PVT. LTD. stands for."